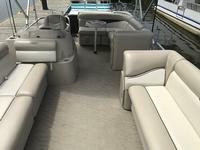 Long-term rentals are considered rentals of 3 or more days in duration; the savings is $100 OFF normal full day price. 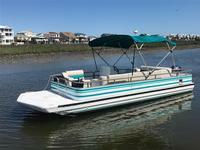 Long-term rentals must be consecutive days and must be paid up front at the time of initial pick-up. 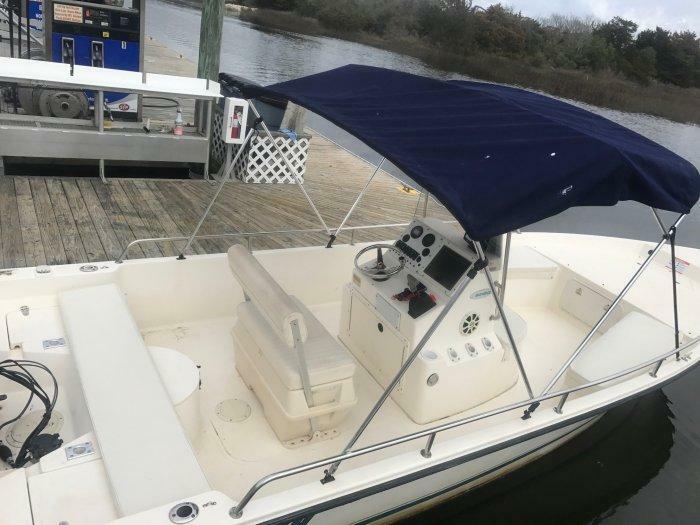 There are no refunds for bad weather days that may occur during a long-term rental. 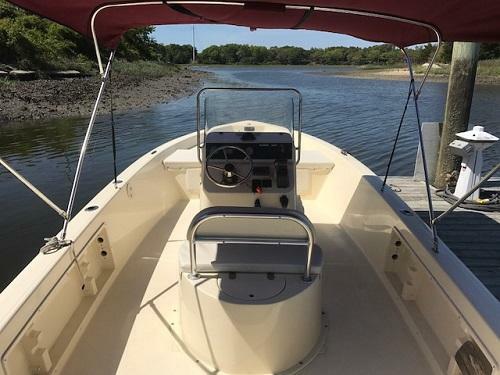 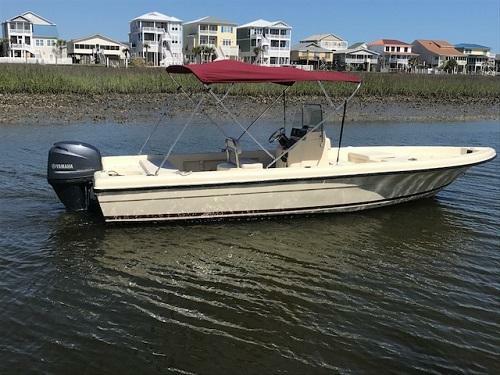 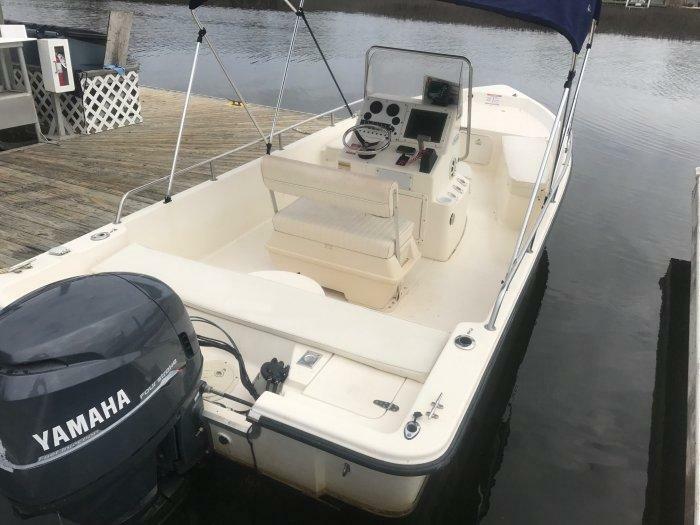 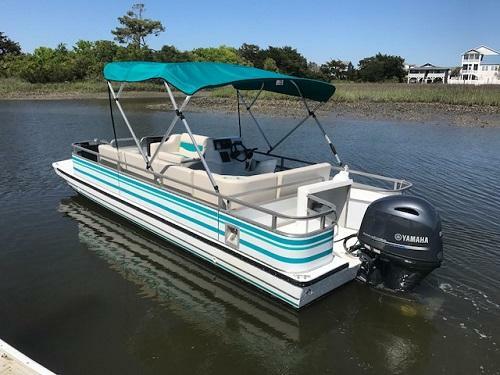 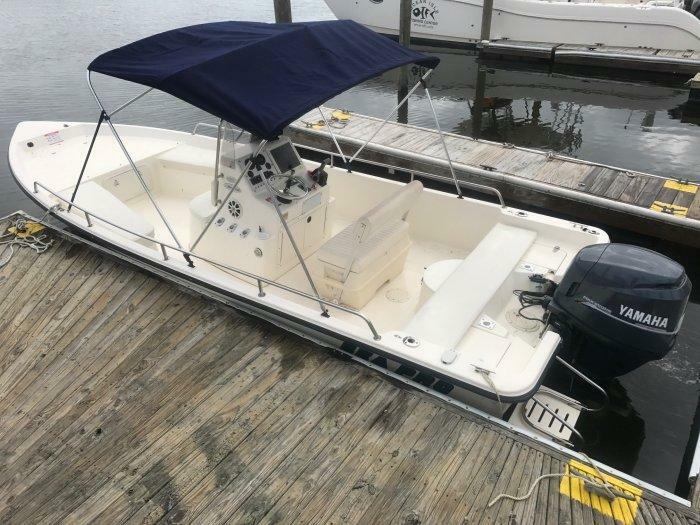 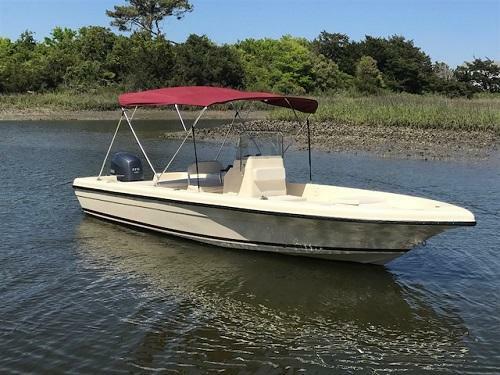 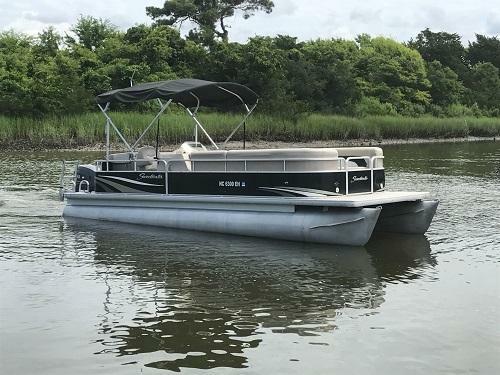 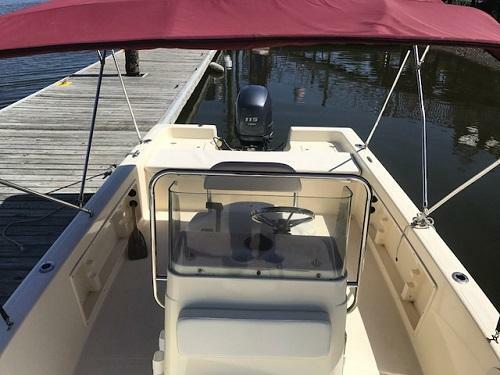 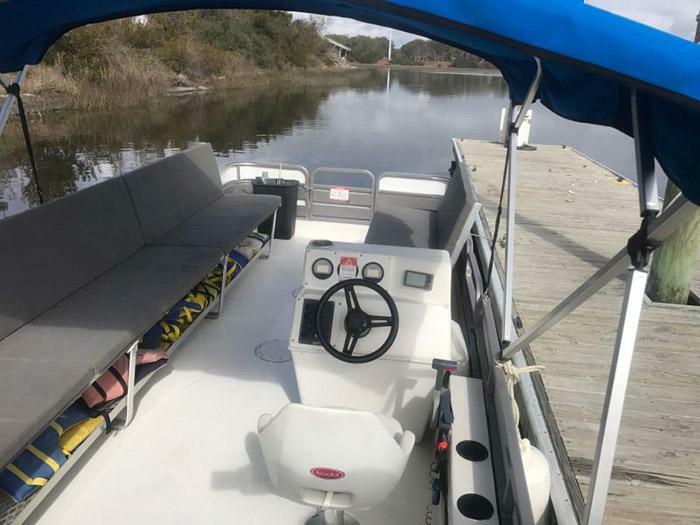 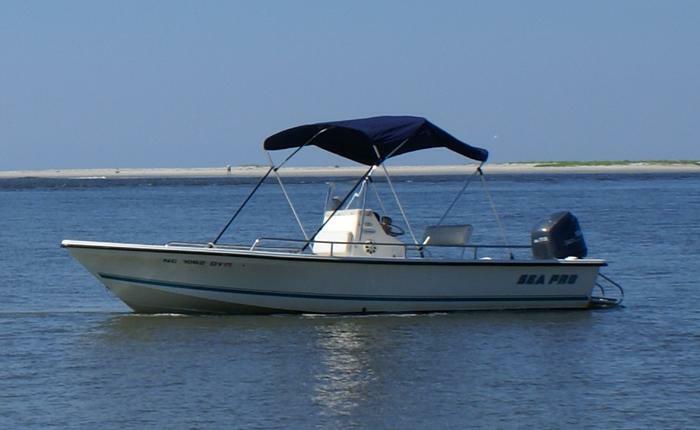 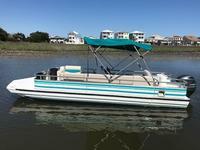 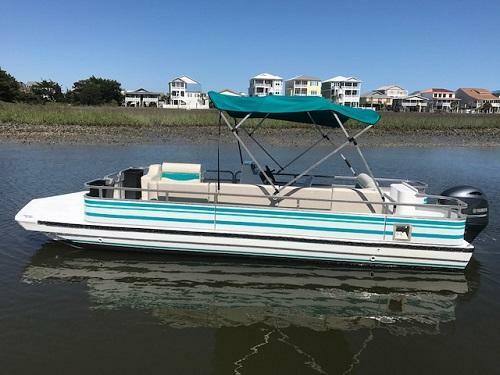 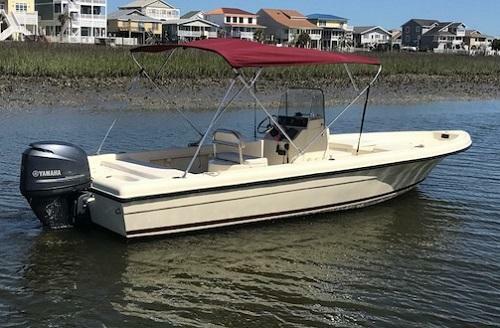 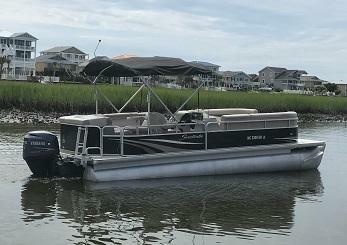 During a long-term rental you may either keep the boat at your personal dock or you may bring it back to the Ocean Isle Fishing Center. 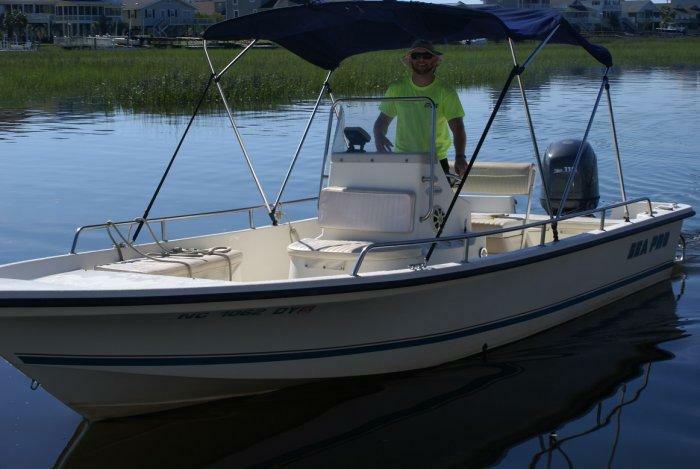 We call this boat "Sweetie", as she is a Sweetwater brand boat, and she's the jewel of the fleet. 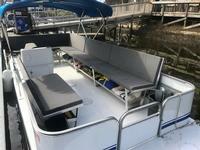 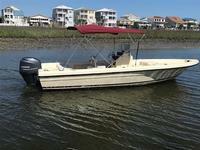 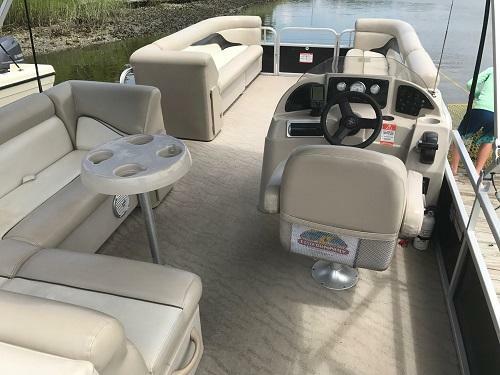 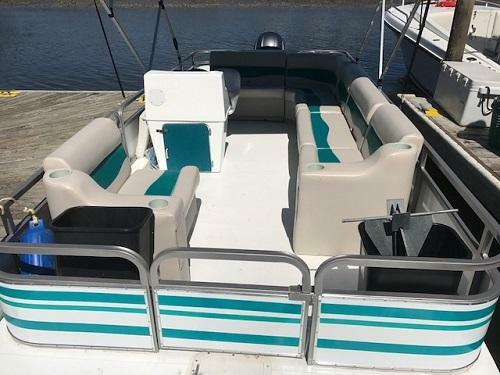 This 24' pontoon boat, easily seats up to 14 with tons of room and very comfortable couch style seating. 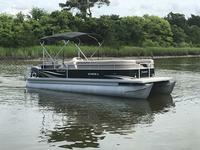 It cruises at 15-20mph, even with a full load and the 4-stroke motor is quiet and smooth running. The boat is equipped with wrap around seating, drink holders, anchor and safety equipment as required by NC law. The Sweetie is the premium boat for cruising the waterway with family and friends. 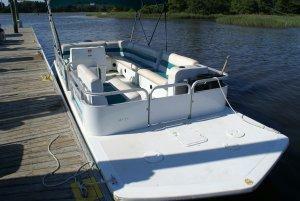 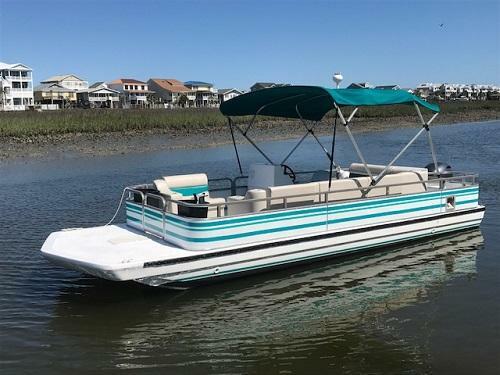 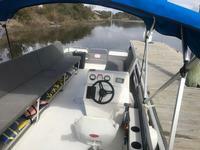 The Hurricane Fun Deck is a very nice fiberglass, deck boat- similar to a pontoon boat, but more stable with more room. 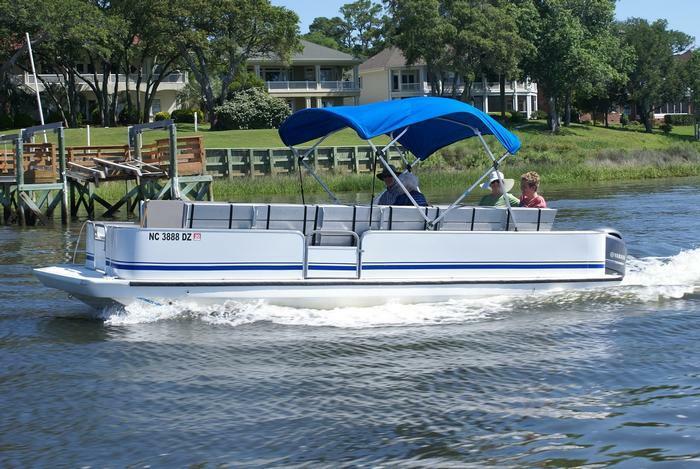 It planes up to 20 mph, and the 4-stroke motor is quiet and smooth running. 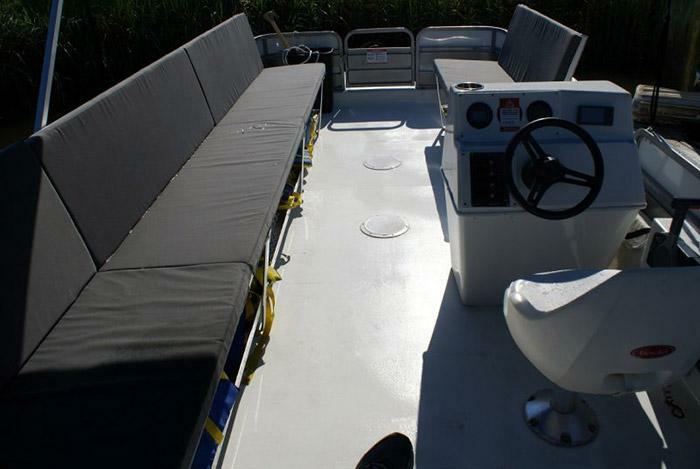 It has tons of room with seating and storage for up to 10 to cruise/sun/fish and move around comfortably. 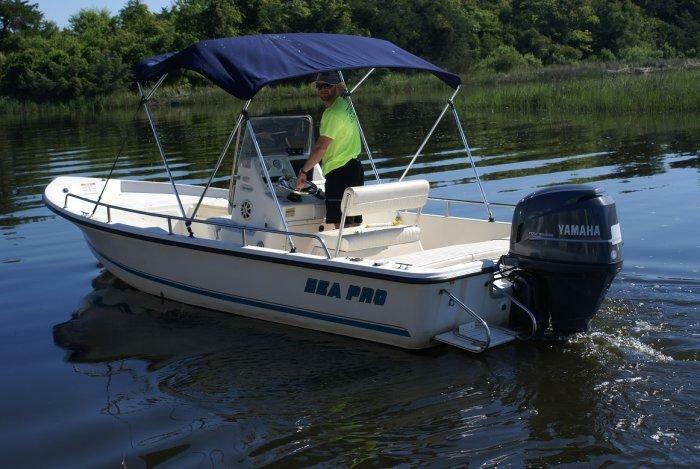 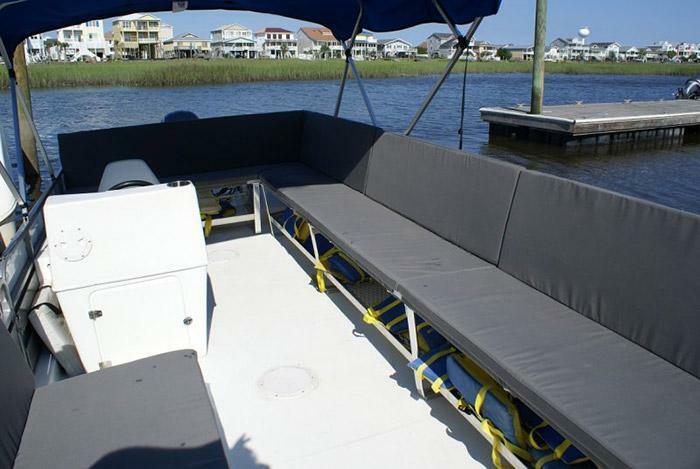 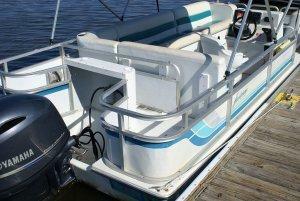 The boat is equipped with wrap around seating, drink holders, anchor and safety equipment as required by NC law. 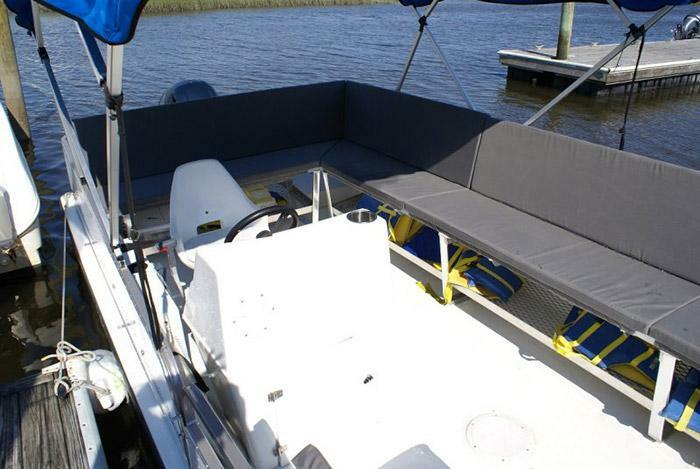 The Hurricane Fun Deck is perfect for a group looking to spend enjoyable time together on the water.